Pedal the Plains celebrates the agricultural roots and frontier heritage of Colorado's Eastern Plains. 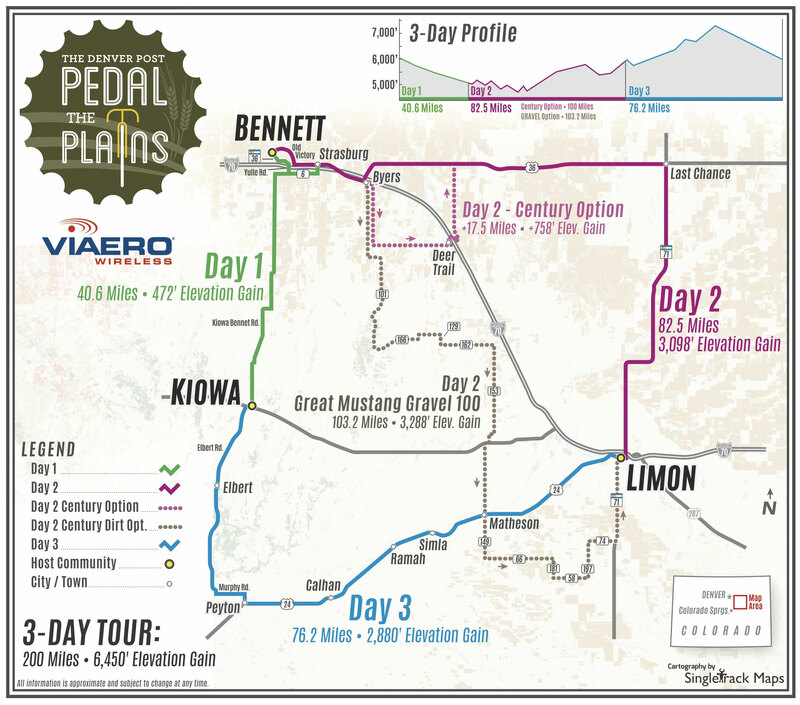 This ride is a perfect opportunity for cyclists to learn about farming, ranching, and other local industries while experiencing the unique culture, history, and landscape of Eastern Plains communities. 2018 marks the seventh year the Governor's Office has partnered with the Denver Post Community Foundation to spotlight Colorado's rural communities on the three-day ride. The Denver Post Community Foundation also announced the towns for the 2019 tour. Lamar, Holly and Springfield will host next year's ride. Along with Presenting Sponsor Viaero Wireless, other sponsors include Anadarko Petroleum, Noble Energy, CO Bank, Western Dairy Association, Suncor Energy, 9 News, KBCO, Walmart, Swire Coca-Cola, Nutrien and Colorado's Office of Economic Development and International Trade.